Ring News 24Boxing History Other7 Boxing Myths: Exposed! I love a good conspiracy theory or folk tale to talk about. They make for good conversation from time to time. But you will find that many of them are, in fact, proven to be baseless. Sports ,including boxing, are not exempt from a historic legend or two. Below, are 7 examples of urban legends that have either already been declared untrue or ones that can easily be dismissed due to indisputable evidence! When Manny Pacquiao stopped Miguel Cotto in 2009 there were supposedly plans for Floyd Mayweather to be the next man in the ring to face him in March, 2010. But a lot of fuss was soon kicked up afterwards in regards to why it did not take place. One of the reasons was that Mayweather started to question how Manny could move up and start knocking everybody out the way he is widely seen to have done. It was from this point on that the fan circulated myth that Manny Pacquiao destroyed everybody was created, and is still in circulation today in discussions regarding the Filipino. But let’s look at the facts and leave emotion aside. Pacquiao stopped a severely weight drained Oscar De La Hoya, who could barely lift his arms to throw a punch in their 2008 encounter. Ricky Hatton’s own fans claimed that the Mancunian boxer had lost a step or two since his defeat to Floyd Mayweather. He had a great, fan pleasing style but he was never the same boxer since that fight. And just maybe we could go back even further and point out that Hatton had given his best in the ring against Kostya Tszyu because he was a little more versatile in his approach against opponents before his 2005 world title opportunity. Miguel Cotto admitted that he could not see the punches coming as they were seemingly thrown from all kinds of unusual angles. And even taking that into consideration, it still took getting to the final round for Pacquiao to stop him. Manny has also not had a knockout for almost 9 years! 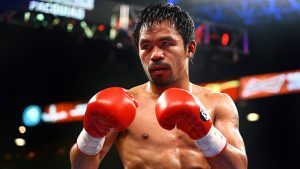 You surely would have to conclude that Manny Pacquiao is not the devastating puncher or KO artist at 147lb that a lot of fans seem to think he is. 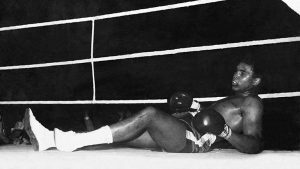 As great as Muhammad Ali was, when he was still under what he called his “slave name” Cassius Clay, there is an unwarranted blemish put against him after he was knocked down by England’s Henry Cooper in 1963. Clay got up, walked back to his corner and it was during these several seconds one of boxing’s most well known illusions surfaced and has not gone away since. 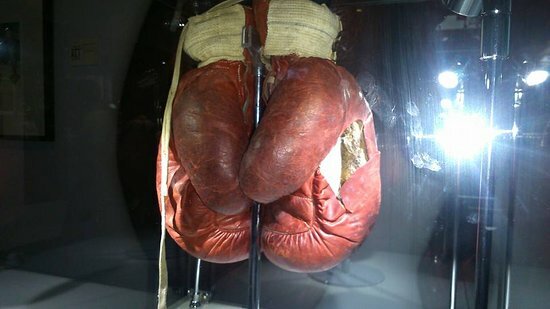 The story goes that Clay’s trainer, Angelo Dundee, bought significantly extra time for his fighter to recover after the knockdown by making an existing tear in one of Clay’s gloves worse. This is only partially true! Well, at least the timing aspect of it. That now famous pause between the 4th and 5th round has become notorious for the belief that Clay had been given an extra minute to recover while his team were busy dealing with the glove. But that period of repose has been counted up to a total of only sixty six seconds. There was said to be an alternate version of the myth in that the former cornerman was looking for a replacement mitt. This is, in fact, true. Their original 1980 fight is a welterweight classic, but “Sugar” Ray Leonard boxed a totally different fight in his rematch with Roberto Duran near the end of 1980. After being suckered into fighting the Panamian’s idea of a war, the much media celebrated former gold medallist lost a points decision. But Leonard was ready for all of Duran’s mind games the second time around! For 8 rounds, Leonard befuddled his rival with ring smartness and quick reflexes. Eventually, Duran turned around and told the referee, and the world, that he no longer wanted to continue fighting and the fight was waved off. There have been many theories as to why Duran would suddenly quit the way he did, given how ruthless he normally was in the squared circle. And somewhere along the line, a misconception was given birth in that Roberto Duran uttered the now famous words “No, Mas” to the adjudicator. It may be one of the most remarkable moments in boxing welterweight history, and it always will be. But again it appears that somebody attempted to contribute to it’s legacy by telling a falsity, even if is a catchy one. Again, if one looks back through time you would find that there have always been periods where the sport had declined. In fact, Muhammad Ali, then Cassius Clay, had once told Angelo Dundee that he was determined to put boxing back on the map again after it had again diminished since the retirement of the likes of “Sugar” Ray Robinson and Rocky Marciano. If you notice, I was referring to boxers exclusively in America. So, it really does depend on where you live. But it is often believed that boxing perished long ago on a global scale, which is a false truth. Anthony Joshua’s fights against Carlos Takam and Joseph Parker each claimed 100,000 people at Cardiff in Wales. Saul Alvarez v Julio Cesar Chavez Jr made over a million Pay Per View buys in 2017. That same year, Alvarez’ blockbuster fight with Gennady Golovkin made 1.3 million buys. Does boxing sound dead to you? As the casuals love a good charismatic heavyweight boxer, which the US a starting to in Deontay Wilder at the moment, it just takes for the heavyweight division to perk up. And it always eventually does. Boxing may not be a regular success in the US, but to think that the world has forgotten all about it is a mistake. 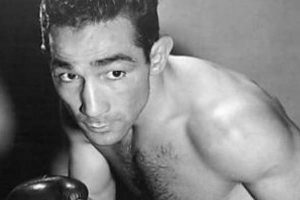 Willie Pep is often remembered for his fights against Sandy Saddler. His display in the rematch, in particular, is possibly one of the finest boxing has ever seen. But there has been a long standing folk tale that when he fought Jackie Graves in 1946 he won a round without throwing a single punch. Thankfully, fight fans are becoming more informed as time goes by that what alleged to have happened is becoming more dubious as time goes by. Even Sugar, who is regarded as one of boxing’s finest chroniclers, could not bring himself to fully believe it! As there is no existing video footage of the fight there is no way to authenticate the validity of what was said to have actually taken place. Additionally, like the Clay v Cooper torn glove incident, there are various versions of what some swear to have happened. The amount of “world” championship belts that exist today is a joke. Plain and simple. But it is also often deduced that boxing pre-1930’s contained just one trinket for all to compete for. I wish that boxing had a previous example to follow by. Unfortunately it does not because there were also multiple organisations! Governing bodies such as the New York State Athletic Commission, The National Boxing Association and the Police Gazette (no kidding here!) all had their own trinkets that contestants often dreamed of winning. Boxing has always had a sense of lunacy. It just never got out of hand like it has today. 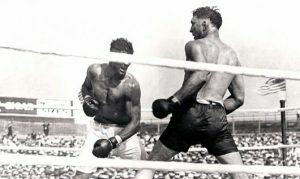 Jack Dempsey v Jess Willard in 1919 still consists of what is popularly known as one of the most brutal one sided heavyweight beatings in history. Willlard was put down 7 times alone in the 1st round and the story is that he sustained horrific injuries including missing teeth, fractured ribs and jaw. This has since been disputed, however. But there is something else that has become a deception. There is the account that Jack Dempsey’s gloves were filled with plaster of Paris, and that is the reason why Willard received the hammering that he did. It makes logical sense that since the injuries that the “Pottawatomie Giant” had supposedly got is controversial, that the plaster of Paris in Dempsey’s gloves is probably not true either! Actually, footage exists of both boxers not only entering the ring, but they also walked in without their gloves on. They were both leathered up in front of 19,500 people as well as several officials in the fighting domain and around it. Unless they were all in on it and were desperate for the “Manassa Mauler” to win then this, too, simply did not happen. The footage is out there for all to see.